How shall we remember Jorge Semprún, the writer and political figure who died on June 7, just before after the seventy-fifth anniversary of the event that, more than any other, including his imprisonment in a Nazi concentration camp, would define his life? I refer to the approach of July 17, 2011, which will mark the date in 1936 when Francisco Franco and his cohort of military officers rose against the second Spanish Republic. The ensuing three-year “Spanish civil war,” as most refer to it, and the distinct but coterminous “Spanish Revolution,” in the idiom of others, affected numerous prominent intellectuals, as well as millions of ordinary people in the twentieth century, many of who were much younger than Semprún and shared few of his direct experiences. We may say of Semprún, who was 87 when he died, that he has been neglected in the Anglo-Saxon world—and I will relate a North American episode that touched indirectly on him. I take pride in having been one of his enthusiasts among English readers. We may note that his connection with México was that shared by all anti-Francoists, who recognized and appreciated the support of President Lázaro Cárdenas for the Spanish Republicans and the diplomatic boycott against Spain by the Mexican authorities, until the dictator and usurper died in 1975. Semprún was Spanish and French. His forebears were notable in public life across several generations. His father, José María Semprún Gurrea, was the liberal Catholic scion of a political family in Castilla, and his mother was Susana Maura Gamazo, daughter of the famous Spanish statesman Antonio Maura y Montaner. Violence in Catalonia, among other crises in Spanish society, led to the military coup of Miguel Primo de Rivera, who took power in September 1923. Semprún was born in Madrid at the end of that year. His family names bespeak many origins, apart from those of his father in Castilla, through his paternal grandmother in Valencia (whence the name Gurrea) and in Mallorca, well-known as the birthplace of the Mauras. Antonio Maura’s mother tongue was Catalan, not Castilian. In addition, the legacy of Jorge Semprún may have partaken of the Sephardic Jewish heritage frequently attached to the Mauras. Whether or not this is verifiable, Semprún stood out for his commitment to “Jewish” values: honest governance, social justice, and fidelity to truth, whatever the price. From the perspective of the German occupiers in France during the Second World War, Semprún might as well have been a Jew. When he was 20, he was deported to the concentration camp at Buchenwald for his involvement in the anti-Nazi Resistance. His father was the Spanish Republican ambassador to the Netherlands during the conflict of 1936 to 1939, and Semprún missed the war and revolution in Spain. But, with the triumph of Franco the family once again took refuge in France. While it was scandalous to say so in France 35 years ago (when the topic was first brought up by historians), the “French” Resistance, until the Allied landing in Normandy in 1944, mainly comprised Spanish Republican refugees, Jewish fugitives, Armenians, Italians, Eastern Europeans, and even North African Arabs. Semprún survived Buchenwald and made his imprisonment there the topic of several of his books, beginning with his novel The Long Voyage, which was published in French in 1963. He began its writing while serving as a clandestine agent of the Spanish Communist Party (PCE) in Madrid. In an interview with The Paris Review in 2007, Semprún referred to his “specific historical context, to which the Spanish Civil War was as vital as my work in the anti-Nazi Resistance.” By the time The Long Voyage appeared, he had spent ten years in the illegal Spanish communist network but was replaced by Julián Grimau García. Grimau was a much-feared secret police agent during the Spanish war, responsible for the repression, including physical torture, of the anti-Stalinist Partit Obrer d’Unificació Marxista (POUM) and the small “official” Spanish Trotskyist group. Grimau was tracked down by the Spanish police and executed in 1963, with his atrocious Stalinist past ignored as he was transformed into a martyr of the international left. In 1964, Semprún was expelled from the PCE along with the activist and political writer Fernando Claudín. For Semprún and Claudín, their “purging” by the party was a liberation. The PCE had never gained the confidence of the Spanish masses and was among the first Moscow-directed entities to be forced by historical circumstance to question its role and its future. The doubts of Semprún and Claudín went far beyond tactical differences, although they represented a curious combination of nostalgia and hope about the future of Soviet communism, even as they joined the ranks of its most articulate and necessary critics. Semprún became, in many ways, the great Hispanic equivalent of George Orwell. He began writing screenplays and books through which, although undetected by most readers, softly, almost imperceptibly, a troubled conscience that he shared with many of his comrades spoke of the fate of the Spanish Revolution. In 1966, he wrote the screenplay for La Guerre est Finie, Alain Resnais’s film about the disillusion of a Spanish communist secret courier. Semprún collaborated with the Greek director Costa-Gavras on Z, released in 1969, a film that dealt with the murder of a leftist leader and embodied the radical sentiments of the decade. 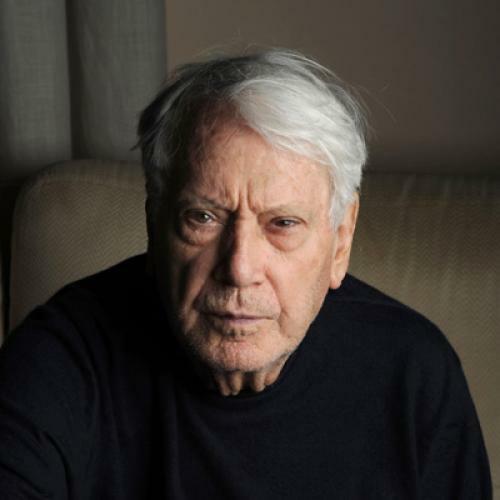 But he completed the same task with Costa-Gavras on L’aveu, or The Confession, in 1970, which examined unflinchingly the post-1945 purges in Soviet-occupied Eastern Europe—specifically, the trial of Artur London, a Czech communist tortured, forced into a false statement of guilt, and sentenced to life imprisonment in the notorious proceeding against leaders of the Prague communist government in 1953. The main defendant in the trial, Rudolf Slánský, was executed, along with the leading Slovak intellectual Vlado Clementis, who had criticized the Stalin-Hitler pact of 1939 to 1941; and so also were the notorious Soviet operative Otto Katz, who had behind him a dark and bloody period of residence in México during the second world war, and eleven others. Only three, including London, were spared. The lessons of London’s life were probably clearer to Semprún, with his knowledge of the crimes of the Soviets in Republican Spain, than to Costa-Gavras. Reflecting the spirit of the times, Z won an Oscar as best foreign film, representing France and Algeria. L’aveu, by contrast, was seen by few filmgoers in the United States; its anti-communist message was too disturbing in an epoch of revolutionary illusions. And yet, history, always unpredictable, has produced opposite outcomes for the countries portrayed in Z and L’aveu: the Greece that once inspired socialist optimism is now crushed by the European economic crisis, and the Czech Republic, notwithstanding its own political problems, was among the few countries to escape communism with full success, through the Velvet Revolution led by Vaclav Havel. Semprún also cooperated with Resnais on Stavisky (1974), a rather extravagant film about a notorious embezzler in France of the 1930s whose death precipitated a great political scandal; and it included scenes of the pre-Mexican exile of Trotsky in France. The next year, Semprún re-joined Costa-Gavras on Section Spéciale, dealing with French police collaboration with the Nazis against the Resistance. In 1969, he had addressed the Trotsky assassination by implication in an original and dense novel, The Second Death of Ramón Mercader. (Mercader was the man who killed Trotsky with a blow to his head using a mountaineer’s ice-axe.) And, in 1977, he published The Autobiography of Federico Sánchez, using the “party name” he employed during his clandestine work in Spain and producing a thinly fictionalized indictment of the moral failures of the Spanish communists. I have my own curious tale about the latter book. In the 1980s, years after its translation into English, I learned of a former government investigator in Washington, D.C., who was obsessed with rehabilitating the infamous communist-hunting Senator Joseph McCarthy, Republican of Wisconsin. The Washington operative was convinced that McCarthy had been unarguably correct in persecuting Gustavo Durán, a Spanish communist employed at the Department of State. But Semprún, through the character of Sánchez, revealed that Durán, after World War II, had been thrown out of the PCE for being an American spy, precisely because he worked in the State Department! So much for the hyper-ventilation of professional anti-communists in Washington. Semprún wrote more books, films, and TV features, and received many honors. From 1988 to 1991, he was minister of culture in the Spanish Socialist government of Felipe González. His son Jaime Semprún is known as a fierce defender of Spanish anarchism, especially in its conflict with the communists during the war of 1936 to 1939. Next year, another seventy-fifth anniversary will arrive, that of the traumatic “May events of 1937,” when the communist secret police attempted to suppress the revolutionary workers of Barcelona, and the last authentic social revolution of the twentieth century came to the end of its active period. I cannot but wonder, with apprehension and sadness, how many readers, a century after 1936 and 1937, will still read certain indispensable works: by the POUM leader Andreu Nin, who was murdered by Soviet agents; by Orwell; by the “mexicanísimo” Manuel Fernández Grandizo Munis, from Torreón in Coahuila, who was tortured by Grimau but wrote prolifically from an intransigent Marxist position until his death in 1989; by Benjamin Péret, the “wild” anti-Stalinist, surrealist poet, and essayist who took refuge with Munis in México during World War II; by the irreplaceable anarchist historian Josep Peirats; by my own mentor Víctor Alba, another who gained sanctuary in México; and, of course, by Semprún and Claudín. We may think the anti-Stalinist position on the Spanish Revolution and other issues has triumphed, but forgetfulness is a powerful form of social pathology. Jorge Semprún, unlike his late brother Carlos Semprún Maura, did not become a neoconservative. He seems to have grasped that something worth defending remained under the “mountain of dead dogs, a huge load of calumny and oblivion” to which Trotsky referred, paraphrasing Carlyle on Cromwell, in discussing the temporary victory of Stalin’s propaganda. The elusive object of historical esteem that Orwell saw in Spain and never forgot was present in the epic of Russian self-defense against the Nazis; and it may be retrieved from the photographs of the sad-eyed Slovak reformist communist Alexander Dubček; and it is still present in the Spanish Socialist Workers party, notwithstanding the failed policies of Felipe González and Zapatero. It was embodied in the resistance of the Bosnian Muslims against the atrocities of Serbian terrorists, such as the recently captured Ratko Mladić. We may also honor Jorge Semprún Maura by remembering that he wasted no words in his career. His books and his screenplays deserve a new and broader audience. In writing about him, I am reminded of Marx’s attitude toward Filippo Michele Buonarroti, the great survivor of the “first communist revolutionary movement” led during the French Revolution by Gracchus Babeuf. For Marx, Buonarroti was the living messenger from the predecessors of revolutionary socialism, to a new generation. In the face of the global economic crisis and the massacres in Libya and Syria, where scenes reminiscent of Barcelona and Madrid in 1936—the sudden and bloody division of the population, including the armed forces—have abruptly replaced the “happy face” image of “social media” in an Arab Spring, we must say la guerre n’est pas finie, the war is not over. With the death of Jorge Semprún, we have lost one of its greatest heroes. Stephen Schwartz is executive director of the Center for Islamic Pluralism and co-authored, with Victor Alba, Spanish Marxism vs. Soviet Communism, A History of the POUM.